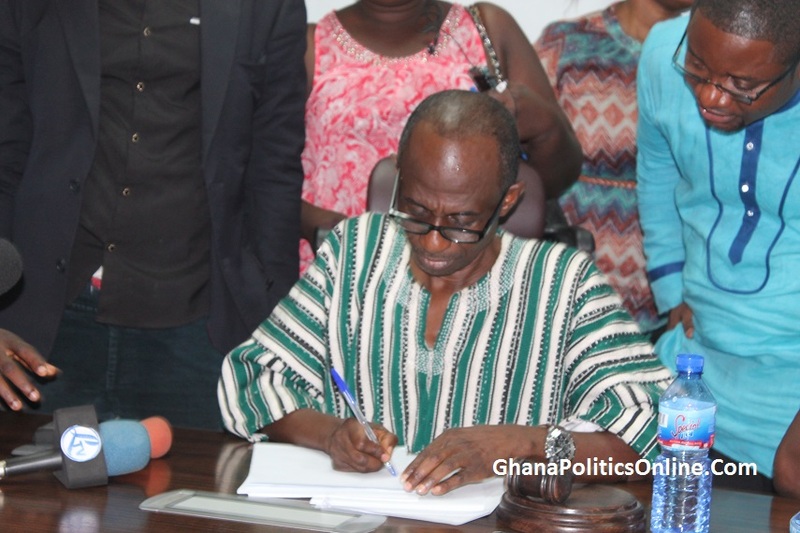 The National Democratic Congress (NDC), has embraced proposals from its Council of Elders by reducing the filing fee for aspirants seeking to contest the presidential primaries to GHc 300,000. The Functional Executive Committee (FEC) acting on behalf of the National Executive Committee (NEC) of the party, has agreed to the mount and reviewed the guidelines for the primaries. ii) Female contestants shall pay One Hundred and Fifty Thousand Ghana Cedis (Ghc150, 000.00) while Persons With Disabilities shall pay an amount of One Hundred Thousand Ghana Cedis (Ghc100, 000.00). Picking of nomination forms by aspirants who petitioned the Council of Elders is hereby extended to Saturday 8th December, 2018 excluding Friday 7th December 2018 which is a National holiday. FEC wishes to use this opportunity to reassure all aspirants of a level playing field to ensure that the outcome of the elections shall reflect the true wishes and aspirations of the entire membership of the NDC.